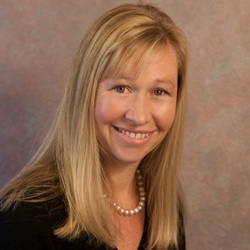 Tasha L. Turzo, D.O., has been in practice in Santa Cruz since 1994 as a traditional osteopathic physician and classical homeopath, treating patients of all ages from newborn to geriatrics. She has a particular interest in working with facial dysfunctions including TMD, malocclusions and head injuries. Dr. Turzo is an internationally recognized expert in the application of osteopathy and functional dentistry, with a focus on use of Advanced Lightwire Functional (ALF) devices. She is a founding faculty member with the ALF Educational Institute, and is co-directing an ALF mini residency program with Dr. Bronson. Dr. Turzo has been teaching osteopaths and dentist the application of the ALF appliances, as well as diagnosis and treatment of facial dysfunction, for many years. Dr. Turzo has been co treating patients and working monthly with Dr. Nordstrom DDS (founder of the ALF appliances) for the last 18 years. This approach is very helpful in treating many problems with craniofacial development and function, including TMJ disorders. Dr. Turzo is an Clinical Adjunct Assistant Professor at Western University College of Osteopathic Medicine, and a Clinical Instructor in OMM at Touro College of Osteopathic Medicine. Dr. Turzo graduated from the College of Osteopathic Medicine of the Pacific, Pomona, California in 1994 where she completed an OMM/ Anatomy Teaching Fellowship as well as a Burroughs Welcome Research Fellowship. She completed her internship at the University of California San Francisco’s affiliate Family Medicine program at Santa Rosa Community Hospital. She received her certification in homeopathy from the Hahnemann College of Homeopathic Medicine, Berkeley CA in 1999 and continued as a guest lecturer. She has earned a Proficiency Certification from the Osteopathic Cranial Academy, and is certified in Prolotherapy. Dr. Turzo is active in the Waldorf community, where her daughters have attended school. She enjoys yoga & pilates, and actively works to match patients with movement therapies, where appropriate for greater healing and function. For more information about Dr. Turzo's approach to ALF Therapy, see video below. “Managing Cases with a Dentist and Myofunctional Therapist"